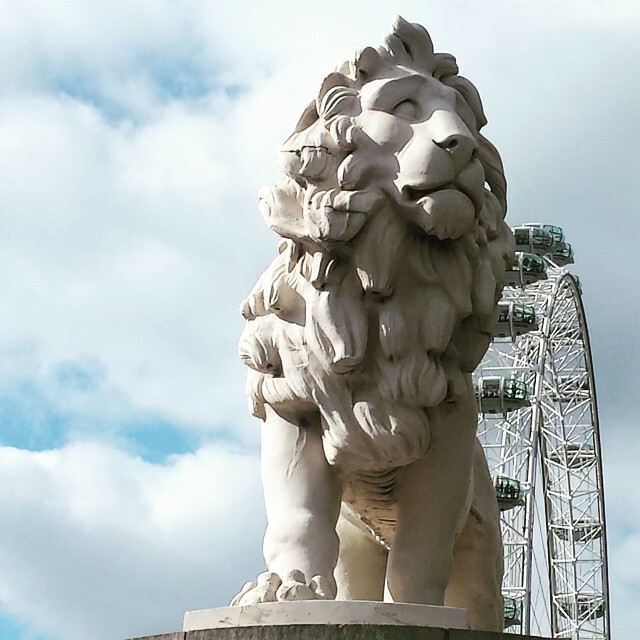 The Southbank Lion sits at South-East corner of Westminster Bridge, next to the building formerly known as County Hall. 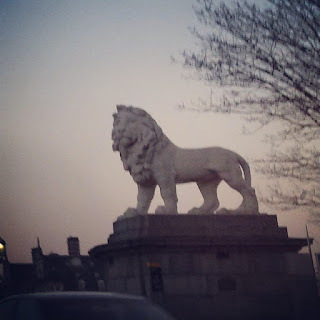 Urban legends would have you believe that nobody knows the material out of which the lion is fashioned, remarkably untouched by pollution and time. 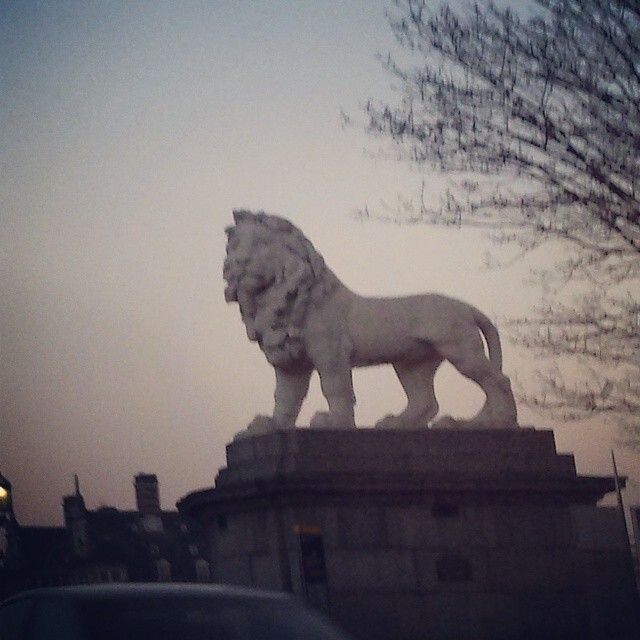 This isn't true. 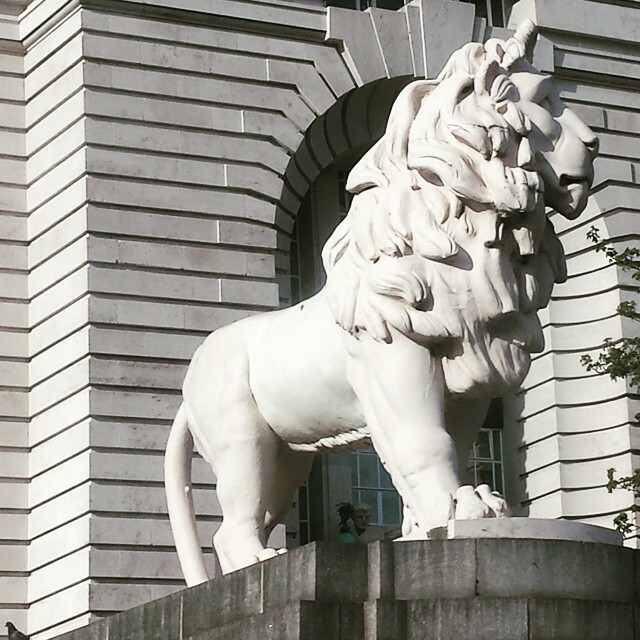 The lion is cast in Coade stone; this recipe for artificial stone dating back to the 18th Century when it was perfected by Mrs Eleanor Coade; the material is based on ceramics (rather than cement). The lion was originally located on a brewery (since demolished to make way for the Royal Festival Hall); it then had a stint outside Waterloo Station before being moved again to allow for the extension of the station.